Arlington, VA (February 2, 2017) National Cooperative Bank (NCB), a leading financial services company dedicated to serving cooperatives and socially responsible organizations nationwide, recently announced the closing of a $438,000 real estate loan to The Hub Bike Co-op, a worker owned and operated co-op located in Minneapolis, MN. NCB’s loan proceeds were used for the co-op to acquire and renovate a larger store in Minneapolis to expand its retail operations. The co-op will continue to lease its previous building for back-house operations. Additional funds to finance the project were provided from Shared Capital Cooperative. The Hub Bike Co-op sells bicycles, bicycle parts, gear, and is engaged in bicycle repair and maintenance. The co-op has three stores in the Minneapolis community. Founded in 2002 as a LLC, the Hub Bike Co-op converted to a worker-owned cooperative in 2008. As a worker owned co-op, the Hub Bike Co-op is owned and managed by seventeen employees, each with an equal stake in the business. 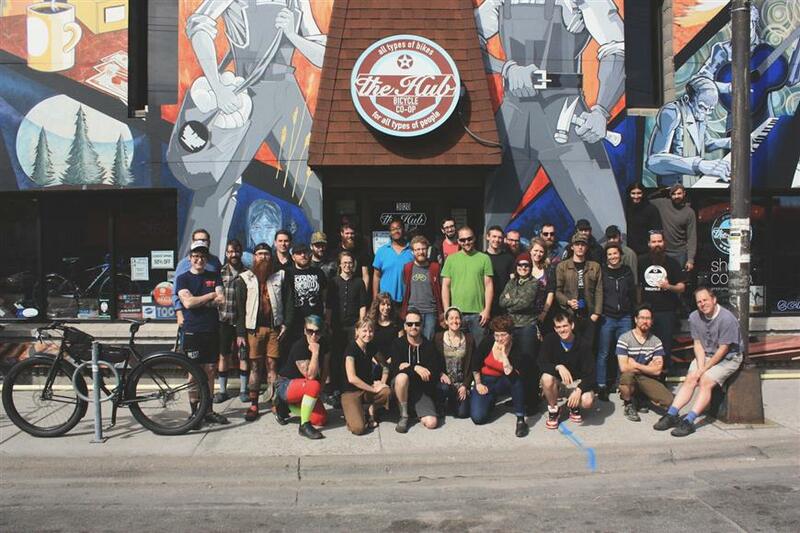 The Hub Bike Co-op is very active in the community and supports various initiatives throughout the year. The Hub Bike Co-op dedicates 5% of its profits to support various causes including the cycling community, the city of Minneapolis, and the environment.